Located in the stunning Andorra, Pal is an amazingly laid-back resort with stellar facilities that help to make for a peaceful stay in one of Europe’s most picturesque regions. There are extraordinary runs, awesome restaurants and a welcoming atmosphere awaiting skiers and snowboarders to this region. Being situated in Andorra you know the skiing is going to be good. Pal is like the quiet little brother watching as the other, Arinsal grows. If you’re looking for the quieter side and less line ups, then Pal is where you need to be. Set within the fantastic Vallnord region, there is a great assortment of runs for skiers of all ability levels. 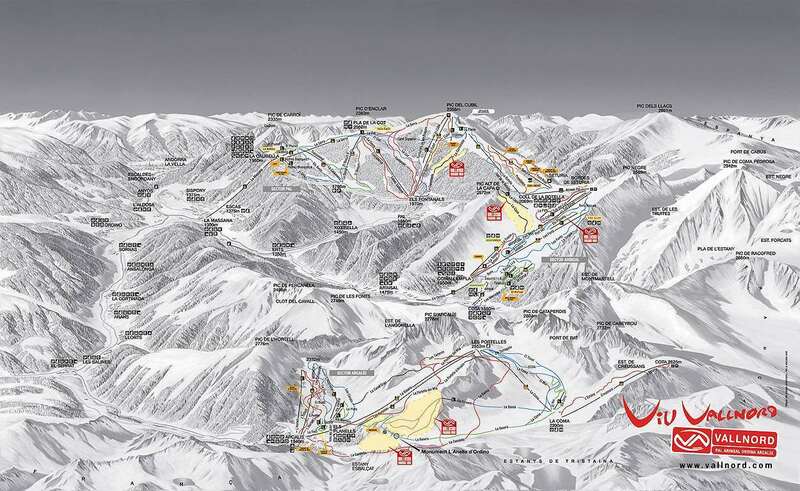 A pass gives visitors access to the Arcalis, Arinsal and Pal. Offering excellent child care facilities make Pal a perfect getaway for the family ski holiday. The entire area is easily accessible through an efficient cable car system and excellent leisure activities are available for both adults and children. The ski season runs from November to April and the runs are immaculate, with snowmaking facilities available on terrain whenever the weather does not provide the right level of coverage. With 296 snow cannons, snow is guaranteed on 28km of the slopes in the Arinsal and Pal sector. Pal is the closest village to the centre of Andorra and is ideal for families. Picturesque scenery full of mountains, valleys and forests make for some incredible photo opportunities and a wonderful atmosphere. The Pekepark is a fantastic place for beginners to familiarise themselves with the sport, with two moving walkways and other attractions help to make skiing exciting and turn hard work into fun. As Pal is now closely tied to Arinsal, there is even more choice for visitors, with 63km of runs available. The resort is measured at 707 hectares overall and is located at an altitude of 1550m to 2560m, offering some breathtaking views. The view and the weather are just a couple strong points about Pal, one just has to look at the wide range of off-piste skiing in the forests, the red runs that actually live up to their names, great value for your money and less people to realize how great a ski holiday Pal can make. There are several cosy huts across the village, providing a great way to wind down after a long day on the slopes. However, if you’re in more of a party mood, El Moli and the Derby Irish Pub are excellent options. However, if you still want to make the most of the great outdoors after you’ve finished skiing, snowshoeing, sledding and a host of walking trails are available. Flights are normally from Lleida-Alguaire: or Barcelona and take about 2 and a half hours to get to resort.